How much does MyPostcard cost? When will my recipient get his/her MyPostcard? How much is a photo-box? How long does it take to deliver a photo-box? In which format are my photo-box pictures printed? How does paying by account balance work? I am not able to design my postcard, because the app does not have access to my pictures. What can I do? Where is it possible to download the app free of charge? In which format/size is my postcard going to be printed? Which resolution and size should my pictures have? What’s the quality of the postcard print? How many characters do I have available for my greetings? What are the advantages of my free online registration? How do I recommend MyPostcard to my friends? How do I top up my account balance? Your postcard including printing, processing, taxes, and postage to an address anywhere in the world starts at $1.99. 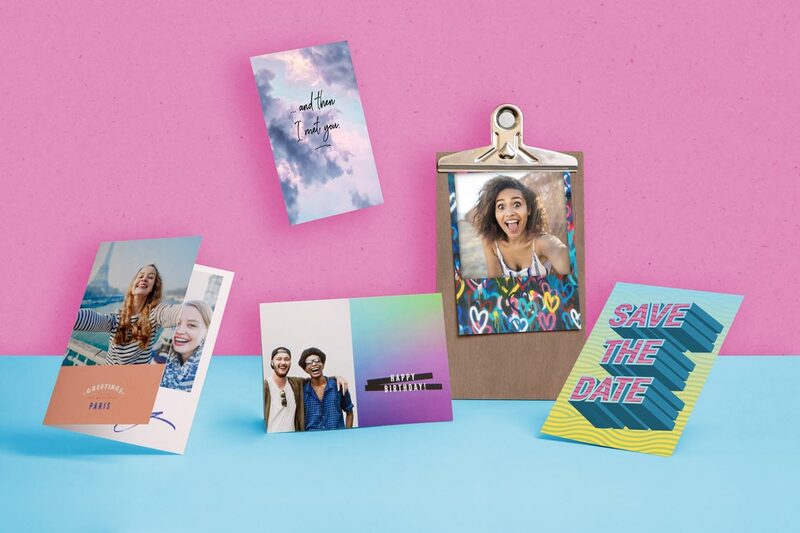 The cost of a greeting card starts at $3.99 (including the printing, processing, taxes, and postage). We print and ship your postcards and greeting cards from the USA (New York City) and Germany (Berlin) within 24 hours. Also, keep in mind these times will depend on the local postal system and how accurate the address on your order is. We print and ship your photo prints from the USA (New York City) and Germany (Berlin) within 24 hours. 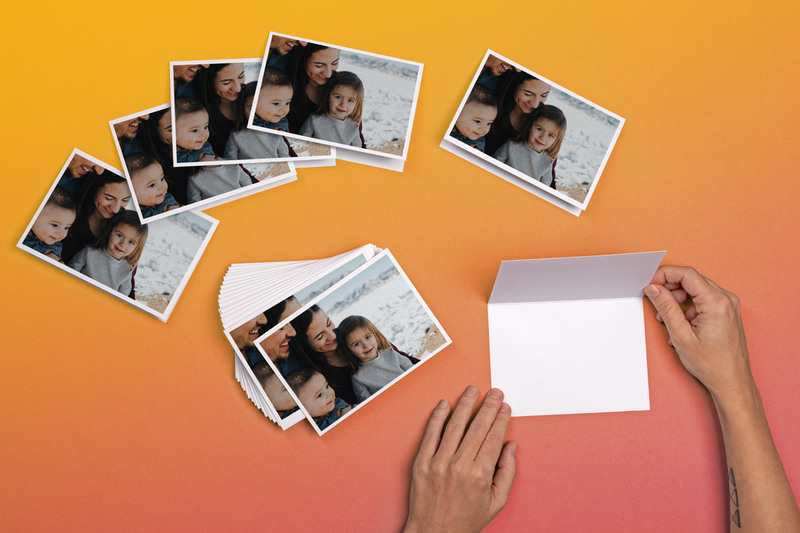 We print photo-box pictures in three different formats of your choice. Once you have placed your order, you will automatically receive confirmation of your order by email. We will also ask you if you wish to receive a shipping confirmation by email. We accept PayPal, credit card (including Visa, Mastercard, and American Express), and instant bank transfer. We also allow you to build up a credit balance so that you can pay once for multiple orders. 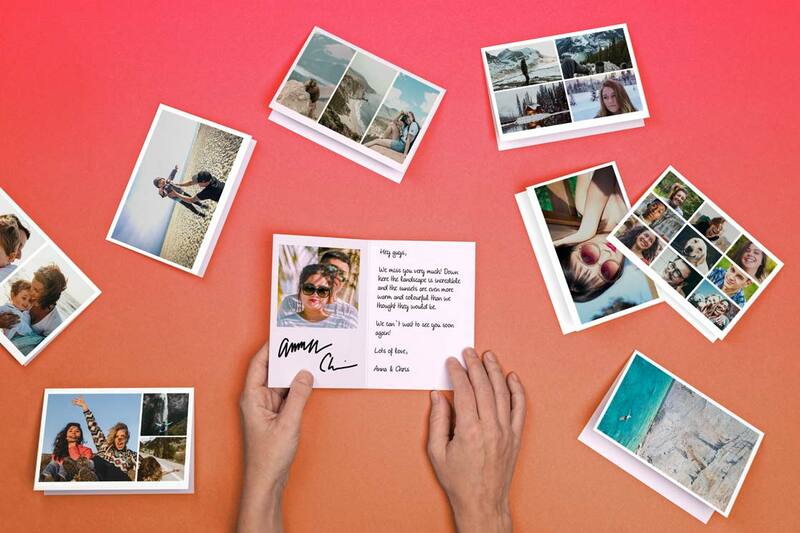 If you would like to send several postcards, but only pay once, no problem. Open your account and buy credits online on our website or by using our app. Afterwards, you may pay for your postcards easily by logging in to your account and using your account balance. You can pay for credits via by PayPal, credit card or instant bank transfer. Through Via "My account in the MyPostcard app, you can invite friends to use our app. Send your friends your unique code via Facebook, twitter, text message, WhatsApp or email! As soon as a friend registers at MyPostcard and enters the friends code, you and your friend both receive a credit of $3.00, which is added to your account balance. In the "My account" section within the app, you may top up your account balance with the desired number of postcards by paying for them beforehand. As described above, you can then pay for postcards using your account balance. The postcards are printed in classic postcard size, i.e. 4 x 6 inches. For an extra fee we offer XXL postcards which are 8.5 x 11 inches. 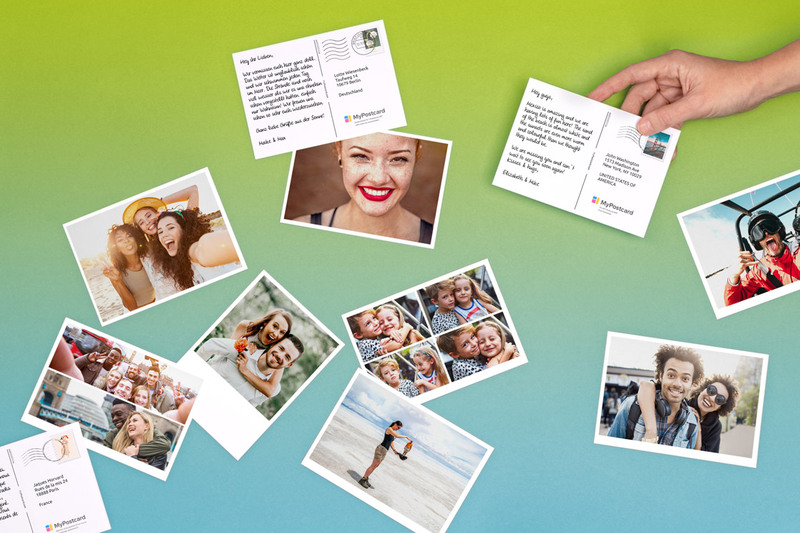 At MyPostcard, you are not bound to any specific formats, resolutions, or sizes, except that your picture should have a minimum resolution of one megapixel and should not be larger than 10 Mb. We will automatically adapt the size of the picture after your upload. During the process of adaptation, it is possible that some parts of your picture are cut off. However, you may check your picture within the preview and resize and move it as you like until the perfect cut-out is found. You may use pictures in 3:2 proportion as well as import square pictures e.g. from your Instagram archive. 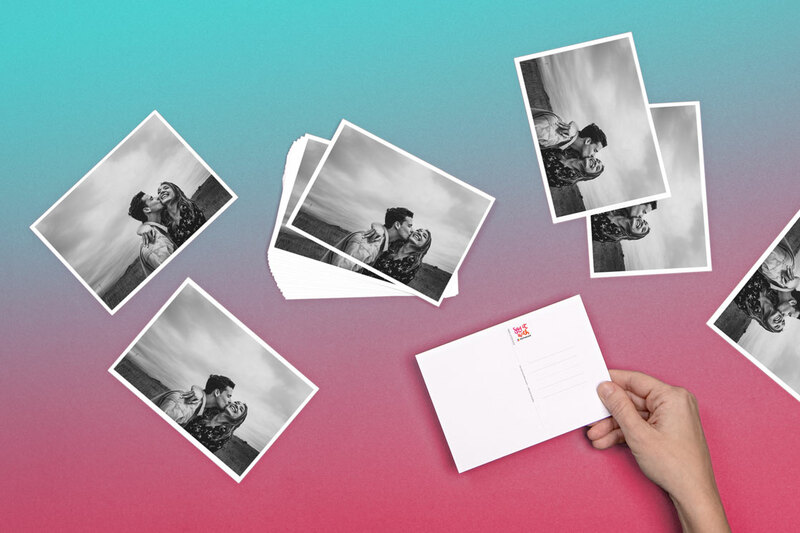 A MyPostcard is printed on high-quality postcard cardboard. Afterwards, it is covered with glossy foil and protective film for the perfect finish. You have a maximum of 450 characters available for your message. The number of available characters varies according to the chosen font as well as the font size. In order to allow the app to access your pictures, please check the settings on your mobile phone. 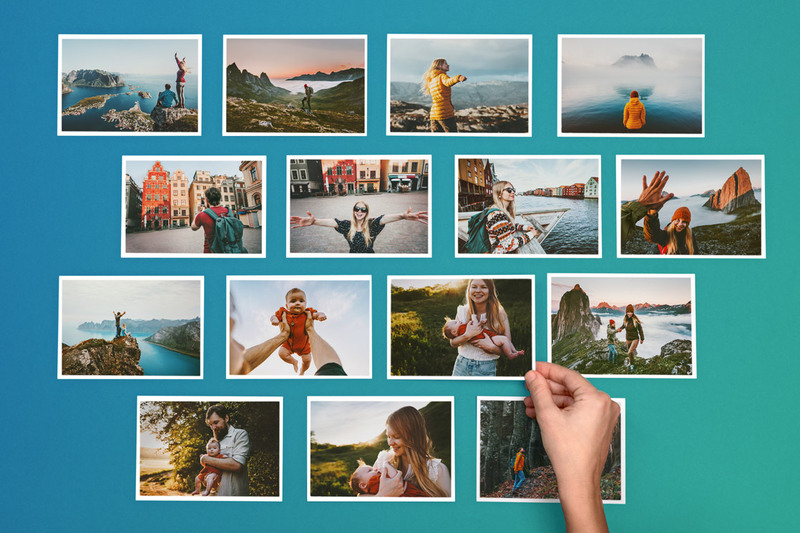 Go to the setting option "data protection" and click on "pictures" in order to find a list, which includes the MyPostcard app. Check the box next to MyPostcard to permit access to your pictures by the app. Your data is solely being used for our services and saved in our database by using a special encryption. The circulation of data to third parties is precluded. Should you face any kind of problem, please do not hesitate to contact us via: support@mypostcard.com.